Imagine how surprised your friends will be when they see these unique bar stools next to your sports bar area! 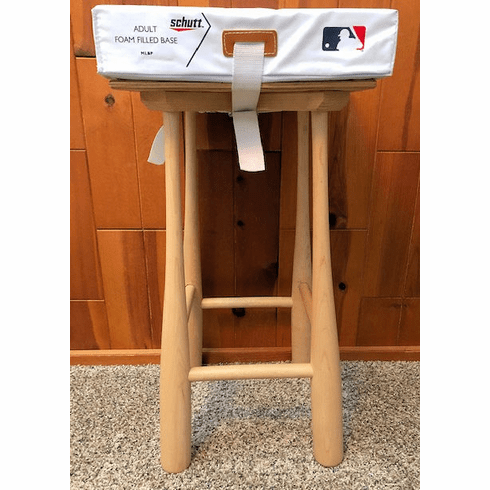 Made with 4 natural wooden baseball bats and an actual foam filled baseball base...these unique stools are both sturdy and comfortable. A full 30" tall and solidly built to withstand years of use. Each bat stool is $249.99 plus shipping.